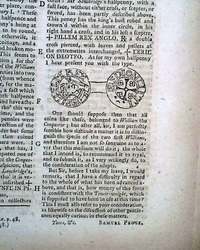 THE GENTLEMAN'S MAGAZINE, London, August, 1754 Present is a foldout plate showing: "...a new contrivance for the Scaping of Clocks & Watches, and Seven Minute Objects as Magnified by the Microscope" (see image), which includes the related article: "Microscopical Objects, with cuts & Remarks". 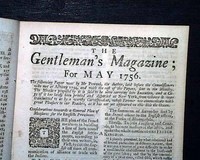 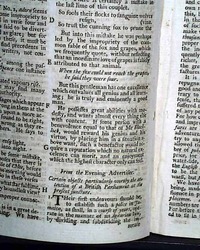 THE GENTLEMAN'S MAGAZINE, London, April, 1755 Among the articles in this issue are: "Humorous Account of the Pedigree of Race Horses" which has as a page headed: "Scheme for Improving the Breed of Jockeys"; "An Enquiry into the Origin of the Romans" and much more. 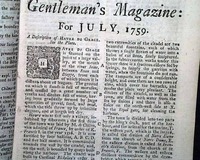 THE LONDON MAGAZINE, England, June, 1755 Always one of our favorite magazines if only because of the very nice engraving at the top of the title page, showing the skyline of London at the time. 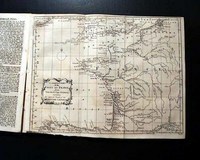 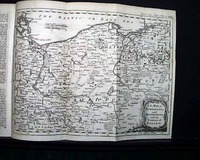 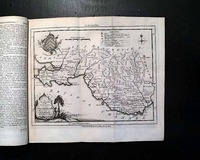 Within is a very nice foldout map of the county of Glamorgan (located in the southern portion of Wales), measuring 8 by 9 inches showing much detail, & includes a related article (see). 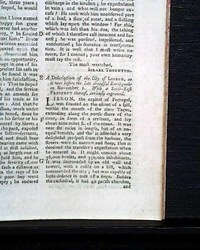 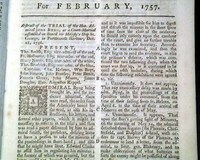 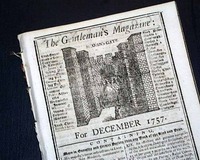 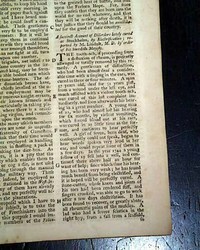 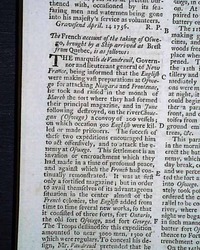 THE GENTLEMAN'S MAGAZINE, London, December, 1755 Contains an interesting variety of articles from during the French & Indian War in America, among which are: "Scheme For a New Lottery" "Account of American Pine" "Description of a Flying Lizard"; "Description of the City of Lisbon" and much on the earthquake there; plus many other articles. 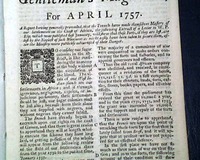 THE LONDON MAGAZINE, England, December, 1755 One of the nicer features of this issue is the very nice title page engraving of the skyline of London in the 1750's, which has much detail (see photos). 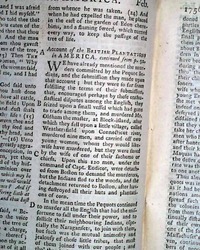 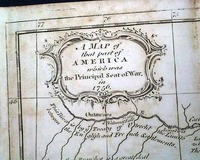 There is also a nice article taking over a full page: "Account of the British Plantations in America" which is very descriptive of Virginia (see photos). 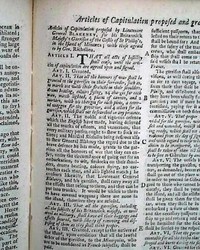 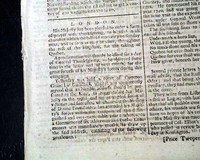 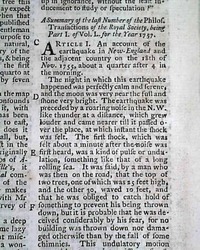 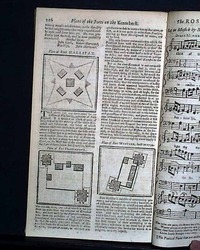 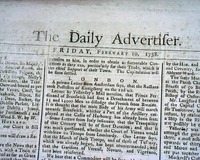 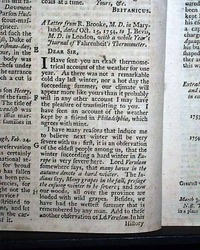 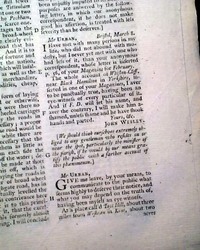 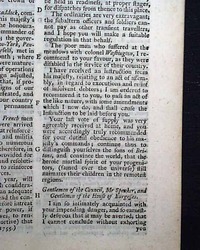 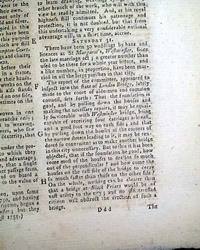 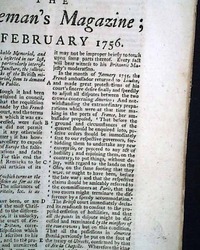 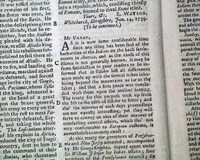 THE GENTLEMAN'S MAGAZINE, London, March, 1756 Among the articles within is a "Letter from Mr. Wesley Confirming the Yorkshire Earthquake", signed by him in type: John Wesley, the noted evangelist and founder of Methodism. 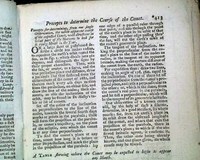 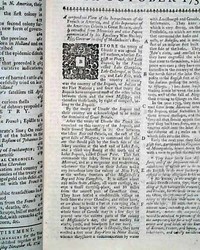 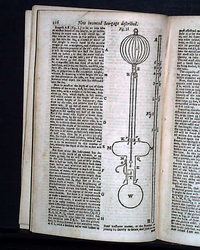 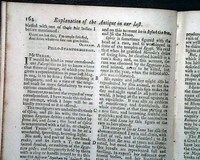 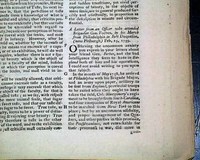 GENTLEMAN'S MAGAZINE, London, September, 1757 Articles include: "Curious Accounts of the Present Comet" which includes a nearly half page print relating to it (see images); "Account of Medical Observations & Inquiries" "Aneurysm of the Aorta" "Fire Engine--Earthquakes--Microscopical Observations" and more. 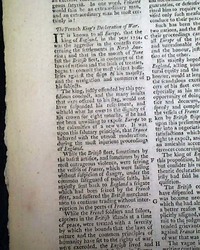 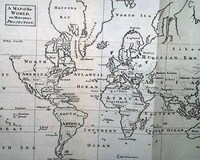 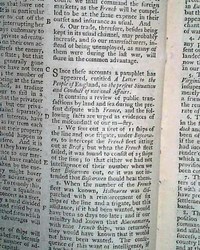 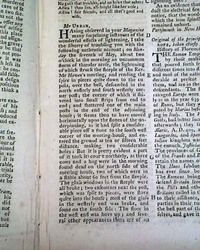 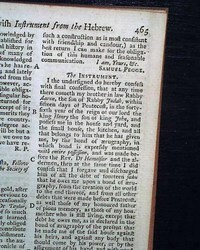 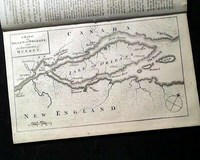 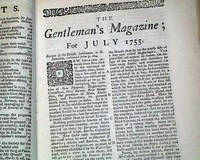 THE GENTLEMAN'S MAGAZINE, London, June, 1758 Among the articles within are: "An Account of the Isle of Senegal on the Coast of Africa..." and "Case of Mr. Moore and Mr. Smith of Philadelphia Stated" which takes over a full page, plus much more. 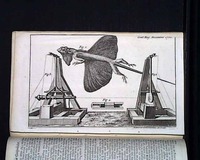 There is also an illustration of a newly invented bandage for the use of sick seamen (see). 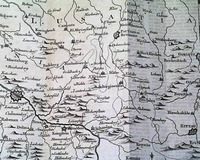 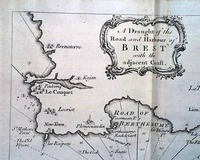 GENTLEMAN'S MAGAZINE, London, July, 1758 The prime feature is the full page plate titled: "A Map of the Rhine Between Wesel & Dusseldorph [Dusseldorf]...". 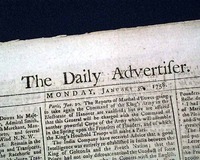 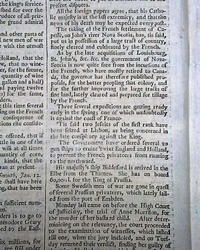 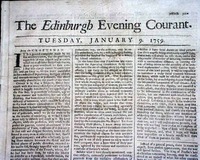 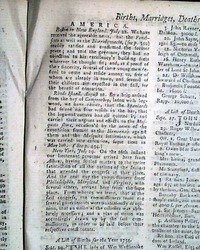 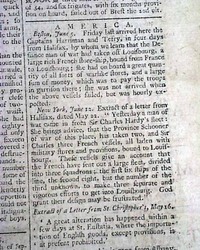 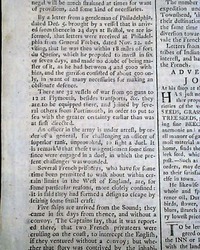 THE LONDON CHRONICLE, England, July 20, 1758 Page 5 has most of a column headed: "America" with reports from Boston, New York & Philadelphia with some bits relating to the on-going French & Indian War (see). 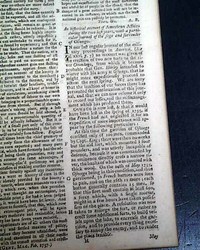 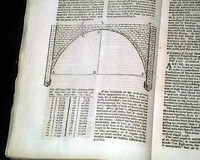 Eight pages, 8 1/2 by 11 1/2 inches, never-trimmed margins, good condition.